It was a big day for a Benzie County distillery as they expand into a bright future, in more ways than one. Iron Fish Distillery in Thompsonville announced a half-million dollar expansion that includes a 4,500 square foot rickhouse. They say the construction will increase production capabilities and expand its deliveries across the Midwest. The distillery will also be able to more than double its staff, from about a dozen to more than 40 employees. 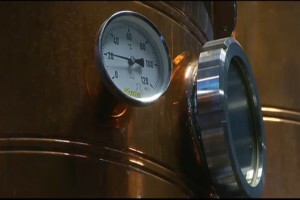 The distillery hopes to have construction wrapped up by June.